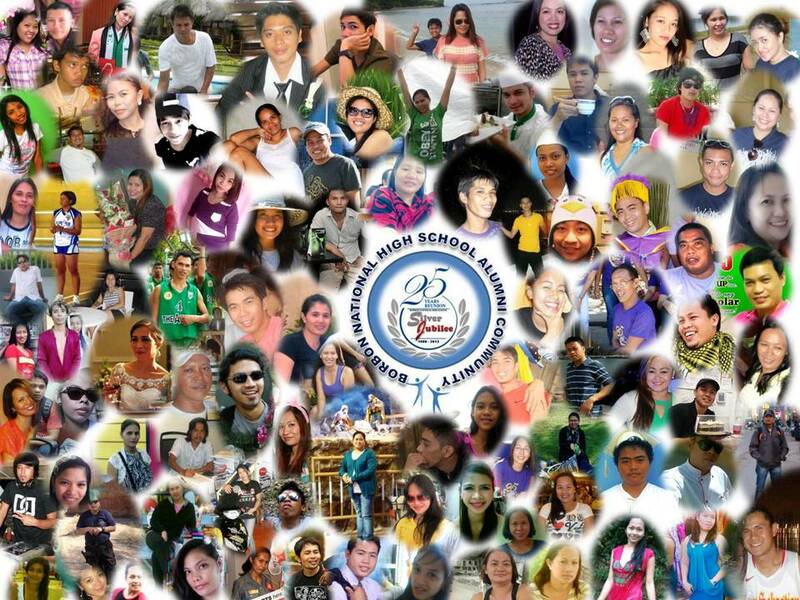 Blogs written by BNHS Alumni. High school years are a great time in one’s life, far better than your elementary years. I’m talking about personal experience here. In high school, you will gain new freedoms, new experiences and also new responsibilities. Many high school students gain a new type of independence and maturity in thinking as well. However, other changes are less fun. To fully enjoy your high school experience, try to address the aspects of your life with which you are not happy. If you are feeling pressure to do something you feel is wrong, talk to a friend, parent, or counselor to find a solution. If you are not succeeding academically, find someone to help you improve. If you feel isolated socially, try to join a school club or group to make new friends. High school may seem rather daunting at first, but with time, you will come to appreciate everything about your experience. High school may be a time of change, but these changes should be for the better. To all students of Borbon National High School, make the most of your experience all throughout your high school years. Believe me, it is worth to reminisce especially if you choose to savor the good ones. Here’s another story from one of our alumni. She shared with us her work experience and the learning she has acquired along the way. Read and enjoy! 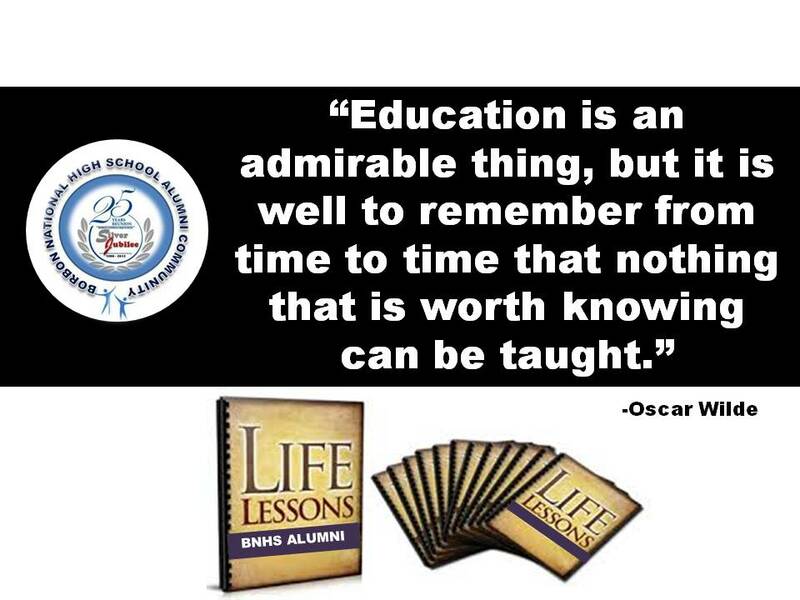 I once read this beautiful phrase from a poet named Oscar Wilde, when he wrote and I quote, “Education is an admirable thing, but it is well to remember from time to time that nothing that is worth knowing can be taught.” SO TRUE, I say. Years ago, in all of my 15 years in school, I too, had earned my fair share of academic awards in school. I was a consistent honor student since my first grade, made it to the top ten of the graduating class in BNHS and had been able to maintain excellent grades during college days. I even graduated with flying colors. After graduation, I appeared on my very first interview at Ayala Mall more than just anxious and a bit frantic. I was 4th on the queue of more than 20 candidates. I emerged flustered during the interview but I nailed it down. For one, the interviewer told me to wait as I will be accepted for a counter sales position. In other word, ‘tindera’! Hah! Could anything be more insulting? My pride bled as I was applying and expecting a management trainee position. But because life in our country is not that easy, I accepted the offer, though whining a bit on the side. Years later, however, I’ve realized how silly I have been. Not because I accepted the job as a ‘tindera’, but because my arrogance was an utter sign of ignorance. I started my very first job rock bottom and little did I know that it has given me tremendous learning in the process. The more experienced I have become, the more I have realized how little I really knew back then, despite all those years of excellent academic performance at school. And as the years pass by, I have reached the management position bringing with me the slugs and shells from work; also realizing that I have eventually ascertain the work alphabet— down to the lowest echelon in the company. What’s better is that I have come to realize that the best lessons in life are the ones we learn and discover along the way, as we encounter other human beings at work and on certain level of our life. I have actually learned more things through actual experiences which I will not learn in any institution or the academic kind, but only in the school called ‘life’. For me, it really is not the subjects in high school or the difficult subjects in college like anatomy, chemistry, rhetoric, physics or creative writing that fulfills our natural need for wisdom. It is both these simple and profound lessons we learn ourselves, the ones that bring us self-realization, facilitates our bonds with other people and moves us towards fulfillment that make us the whole package. SO TRUE!!! As an expression in a local TV series. SO TRUE… is what the rumormonger ‘Friends of Dona Tomasa’ (or FDT) used to say. “FDT or Friends of Dona Tomas is a group of elderly women in the famous ABS-CBN teleserye ‘My Little Juan’. These women professed to have served the church in the town of San Juan Bautista; but in reality are also fond of spreading gossips and scandals within the community. This group of women is an avid follower of Dona Tomasa, a rich widow. SO TRUE is an expression they always say in unison to buoy up and concur on Dona Tomasa’s malicious plans”.